The southern part of India is no less than a heavenly place that has been carrying its majestic touch since ages. Most of the monuments and architectural structures are created on natural base and are grand and mesmerising in ways more than one. 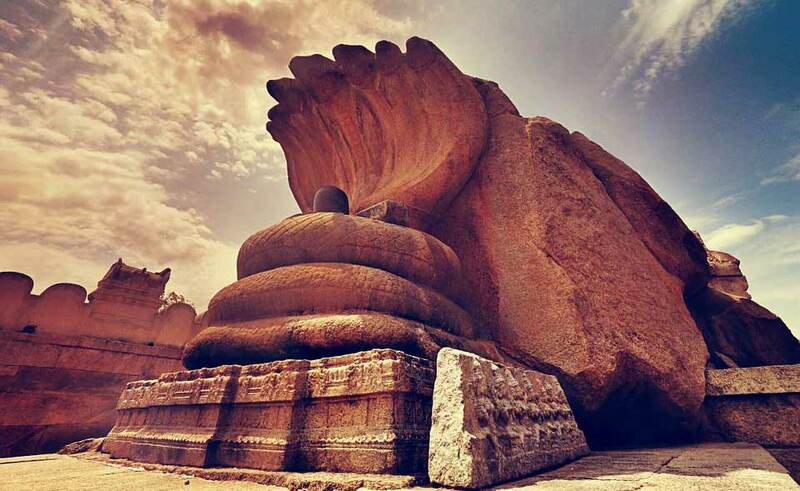 The history of Lepakshi temple will give you a clear hint of what South India is actually about. These monuments are mostly temples that stand tall as examples of the masterpiece forms of art and sculpture which the Dravidians excelled in. In fact, this part of the country was and is even now considered to be the epitome of temple architecture. The number of temples in states like Tamil Nadu and Kerala are so high that you might not be able to complete the entire tour in one visit. So if the number of places is too many, it would great to pick the best ones, isn’t it? Read along to find out which are the top 5 temples to visit in South India. 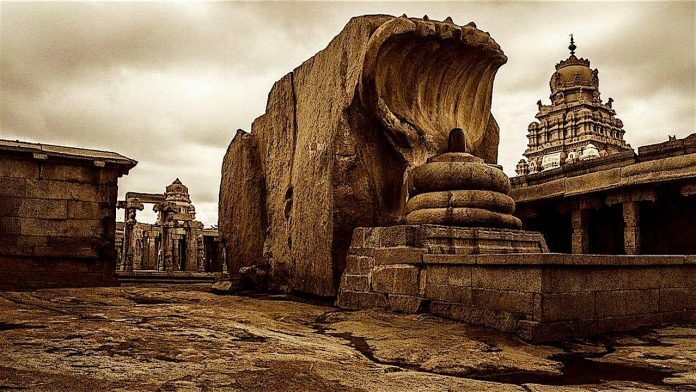 The Lepakshi temple is one of the most popular temples in South India and attracts a good number of tourists every year. It is located in the Ananthapur district and is 12 km away from the Hindupur. It has some of the most mind-boggling and mesmerizing sculptures and structures and is wrapped under a serene and composed environment. The are some exquisite statues of deities in the Lepakshi temple, like the large statue of Lord Ganesha. There are some carvings made on the walls and pillars. The carvings are mostly of the divine musicians and drummers. As for example, there is a carving of Lord Shiva in which He is seen in engaged in “Tandava”. Heard of the place called Rameswaram? If you haven’t, let me tell you, it is an island located in Tamil Nadu and is extremely popular for its Ramanathaswamy temple, which is probably the largest temple in Tamil Nadu dedicated to Lord Shiva. The Ramanathaswamy temple as a lot of history attached to it. It is said that Lord Rama had prayed to Lord Shiva in this temple itself. Plus, there is another reason why you should visit this place. Rameswaram is a part of the Char Dham pilgrimage spots. 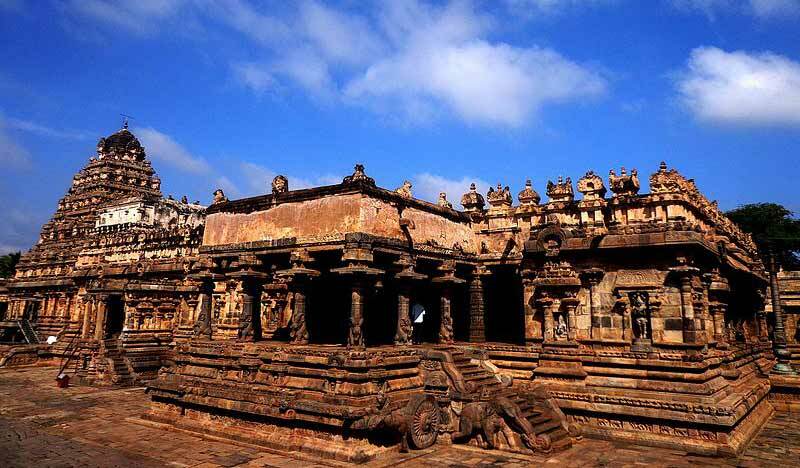 The Airavateswara Temple is probably one of the most beautiful temples from the ancient history of India. It was declared as a UNESCO World Heritage site and was built in the 12th century (Common Era). If you visit this temple, you will be able to witness the excellence of the architecture of the Dravidians. The name “Airavateswara” is taken from the word “Airavata”, which was the white elephant of Lord Indra. It is believed that Lord Indra worshipped Lord Shiva in this temple. The Chidambaram temple is extremely popular among both tourists and devotees and receives a huge footfall each year. It has the famous Nataraja Temple, which is known for the sculpture of Lord Shiva engaged in the cosmic dance. Another interesting fact about this temple is that it is very different from other Shiva Temple as it follows the rituals from the Vedic period, set by Sage Patanjali, and not the rituals of Lord Shiva. Hence, according to the Vedic ritual, it has the fire sacrifice puja performed every morning in the Golden Hall. However, you can experience this morning Yagna even if you are not a Hindu. The Thanjavur Temple or Tanjore Temple is an incredible part of the Chola dynasty in the 11th century. According to the history, the Chola kings built a total of 70 temples during their rule, exhibiting their excellence in architecture and sculpture. The Thanjavur temple is a World Heritage site declared by UNESCO as it is more than a thousand years old. This temple is one among the famous temples dedicated to Lord Shiva and is built with just rocks. The dome of the temple rises around 60 metres and can be spotted as a highlight as soon as you enter the area. 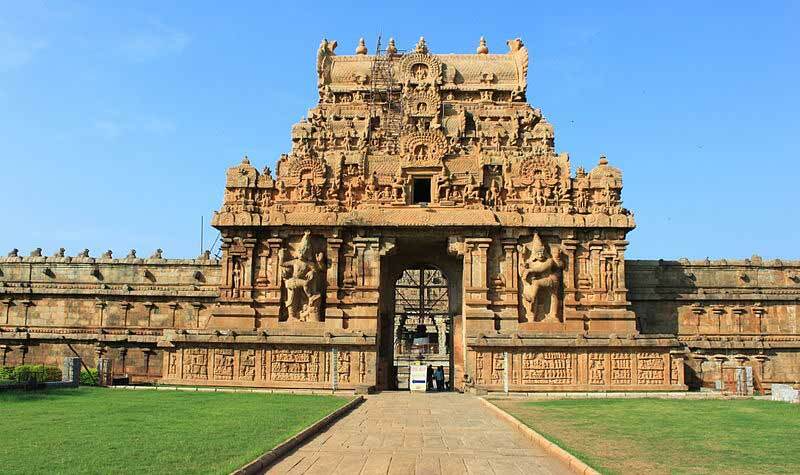 You will notice that most of the temples of South India are situated in the state of Tamil Nadu. And this is the exact reason why it has been a highly preferred destination among tourists over the years. It has its towering presence in some of the best examples of the Dravidian architectural prowess. Plus, another reason behind these temples being so popular is their spiritual side. The significance of Nimishamba Temple, located in Bangalore-Mysore highway, and many other such temples relate to the religious side and have devotees flocking every day. So, the next time you plan a trip to the southern part of the country, these top 5 temples are not to be missed. Amit is an avid traveller and passionate writer. His weekends are dedicated to travel and free time dedicated to writing. His passion for both these hobbies made him start Realbharat.org. The blog is intended to bring out the real India and present it to the world!